Sheffield United had taken the lead through Billy Sharp's spot kick in the opening ten minutes of the game after Paul Coutts had been upheeded in box as the Blades looked to run riot against a woeful Swindon side whom last season reached the Play-Off Final. A defensive second half performance was the Blades concede with ten minutes remaining as Brandon Ormonde-Ottewill walked through a crowded box to score. Blades boss Nigel Adkins named an uncharged starting XI and bench from the side which had narrowly won at Colchester United seven days previous whilst his opposite number Luke Williams, handed a debut to Michael Doughty. It was clear from the off that Swindon's tactical front was to press from the back, using the availability of the goalkeeper and defence to sweep the ball around as the game failed to make the liveliest of starts. It wasn't until around the eight minute mark until the game sprung into life, a neat on-two between Sharp and Coutts saw the latter catch out the Robins defence, knocking the ball clean through on goal only to see his run clattered out by a mixture of Turnbull and Ormonde-Ottewill, with referee Trevor Kettle give little choice but to award a penalty. SHARP stepped up and powered his shot past Vigouroux. Two minutes later Sharp should have doubled his and the Blades lead when he found himself unmarked at the far post following Brayford's free-kick from the right, but his flicked header steered wide of the post. The visitors made vain attempts to get into the game but it was United who controlled the first half, Rogers and Robert mustered shots but neither of them could hit the target. They went close on 33 minutes after Obika had beaten the offside trap despite protests from the stands. He retrieved a high ball before cutting inside and shot wide. United's main threat came via Coutts but the hosts failed to craete further chances as the first half drew to a close. The first six minutes of the second half saw the Blades create three chances as they started the half the brightest of the two teams. Following a mix-up between Vigouroux and Rossi-Branco as the pair attempted to pass to one another, Coutts attempted to seize on the opportunity of a loose ball but found himself kept out by the keeper on the angle, whilst sharp twice drew saves from Vigouroux. A cross into the box saw Ajose fall over Long with referee Kettle pointing staright to the spot in what was a moment of confusion as he changed his mind having seen his assistant flag for offside. Collins header allegedly contacted with Turnbull's arm and Sharp tumbled under Traore's tackle as United saw two further penalty appeals turned down. Substitute Flynn came close to extending their lead after Sharp's lay off but he too failed to hit the target. With 11 minutes remaining Kasim picked out ORMONDE-OTTEWILL free in space on the left, he had time to cut in past a sprawling Brayford and Edgar before finishing at the near post. The goal scorer turned provider as they almost went onto win the game, his cross found Thompson but he wasted his opportunity. Balmy tested Long from 20 yards but the keeper held firm and in the last minute the keeper punched clear a Obika effort. United had the last opportunity on goal after three minutes had been added on for injuries and substitution’s. Kasim hit a free-kick straight at the wall and Long snatched Rossi-Branco's header. At the other end Edgar, who scored in last week's dramatic win at Colchester wouldn't be as successful this time as his tame shot went straight to the Robins keeper, this proved to be the last action of the game as Kettle blew a halt to proceedings. 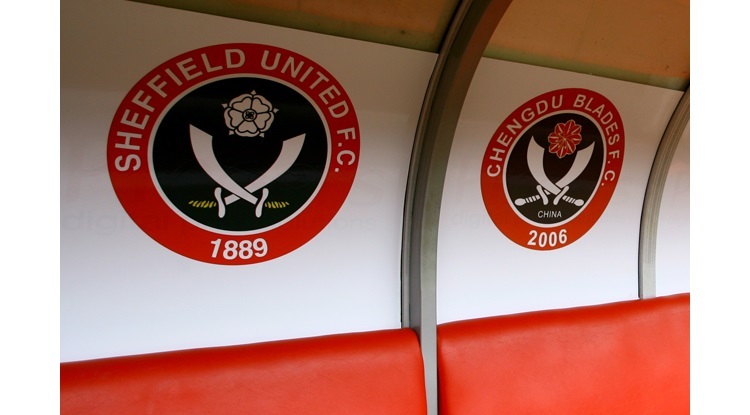 Sheffield United: Long, Brayford, Basham (Flynn 57), Coutts (Reed 74), Sharp, Done, Collins, Woolford, McEveley, Edgar, Hammond (Baxter 68). Unused: Howard, Sammon, Campbell-Ryce, Adams. Swindon Town: Vigouroux, Ormonde-Ottewill, Robert, Turnbull, Kasim, Ajose, Doughty (Balmy 86), Obika, Rodgers (Traore 61), Barry (Thompson 61), Rossi-Branco. Unused: Smith, Brophy, Belford, Iandolo.